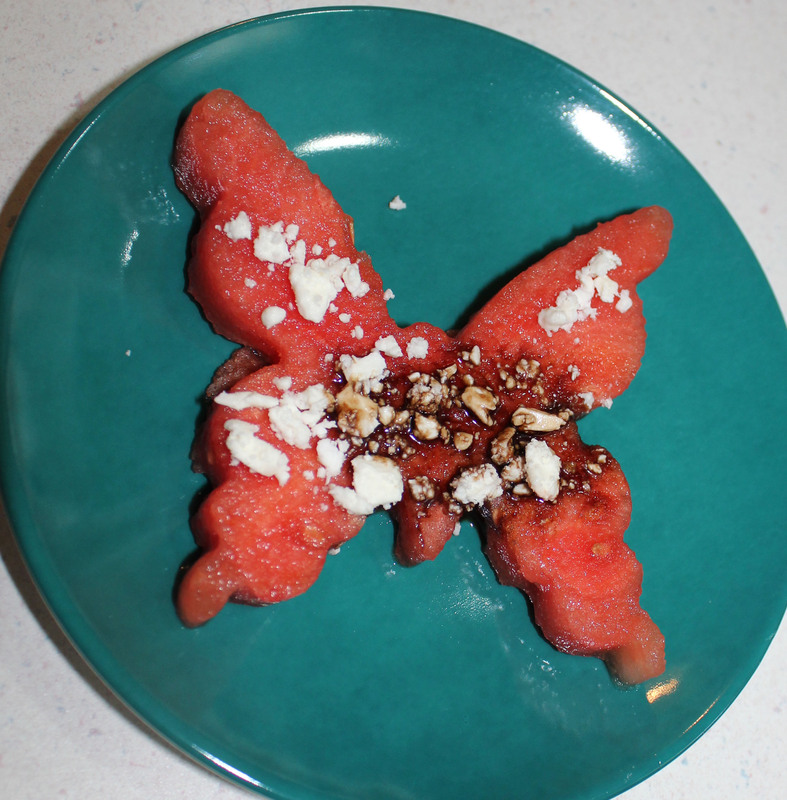 Today’s recipe is so simple your preschooler could make it. Wait, maybe they should. It would be a lot of fun for them. 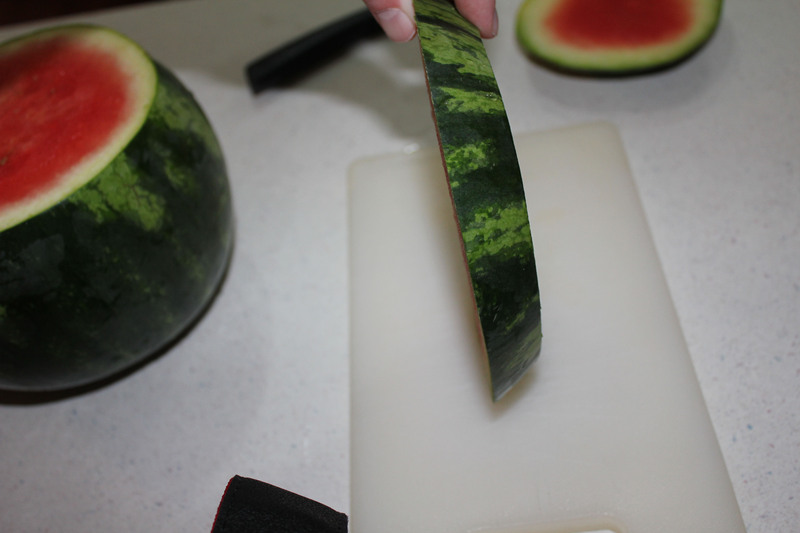 Start by slicing your melon into 1/2 inch thick slices. 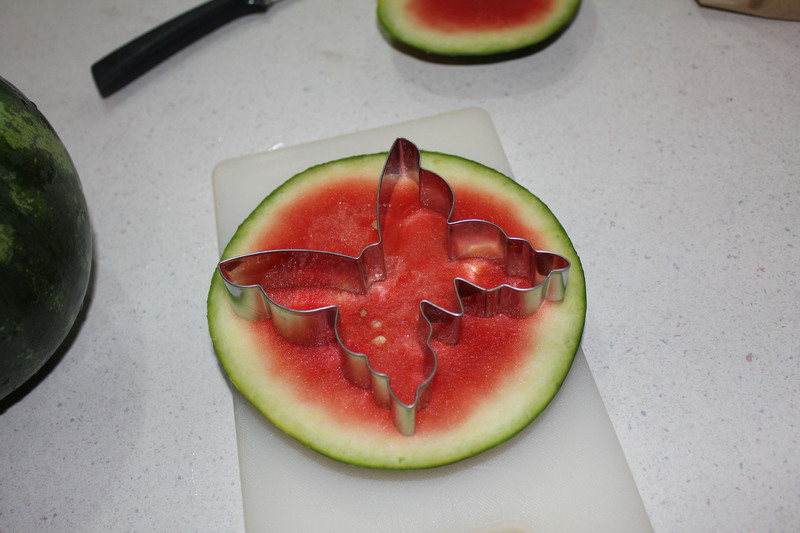 Press a sturdy cookie cutter into the melon, going all the way through. 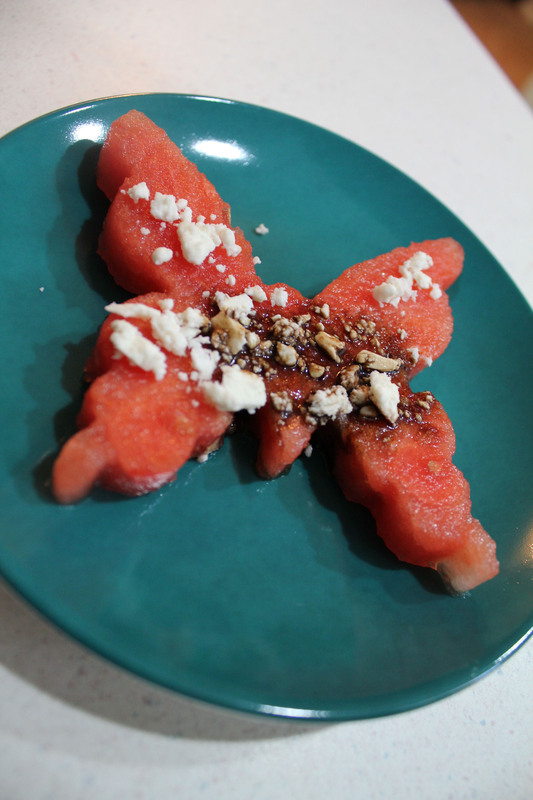 Slice watermelon into 1/2 thick slices. 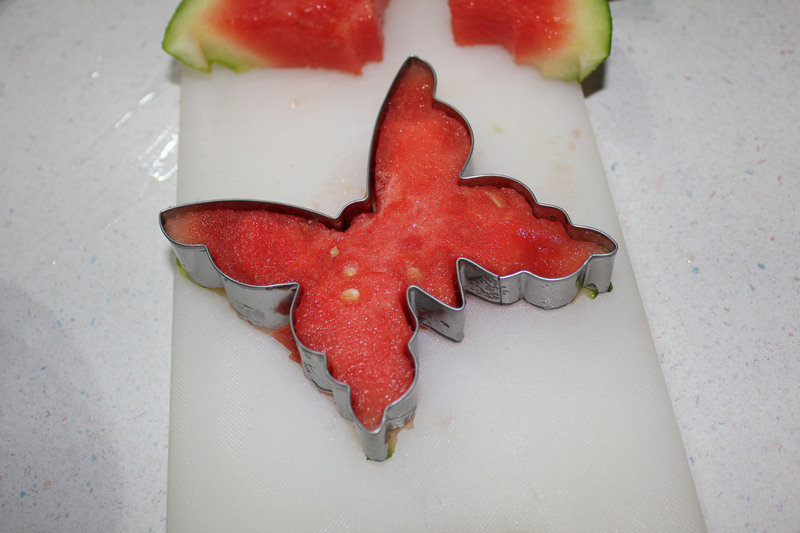 Using a sturdy cookie cutter, push it through and cut out shapes. 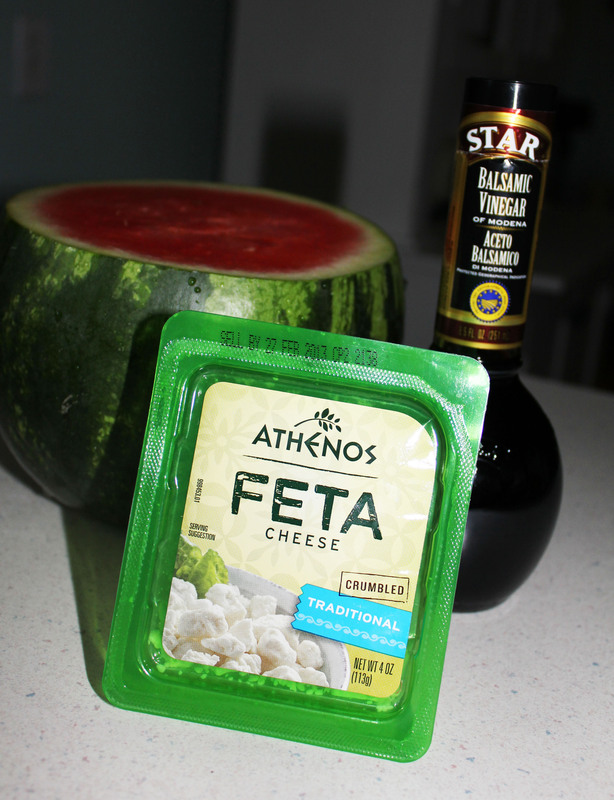 Place on a plate, sprinkle with feta cheese and drizzle with vinegar.